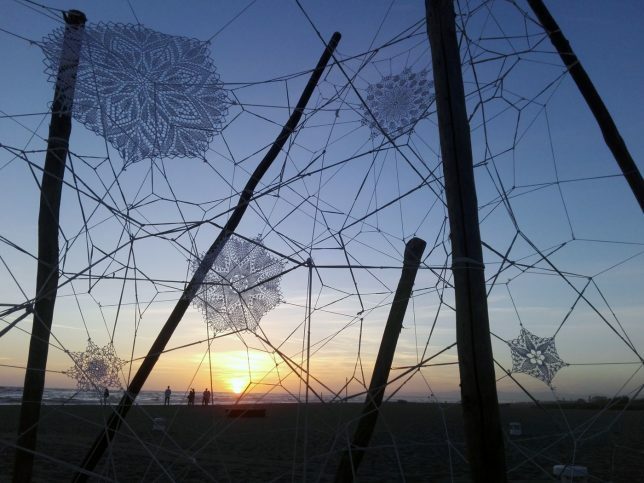 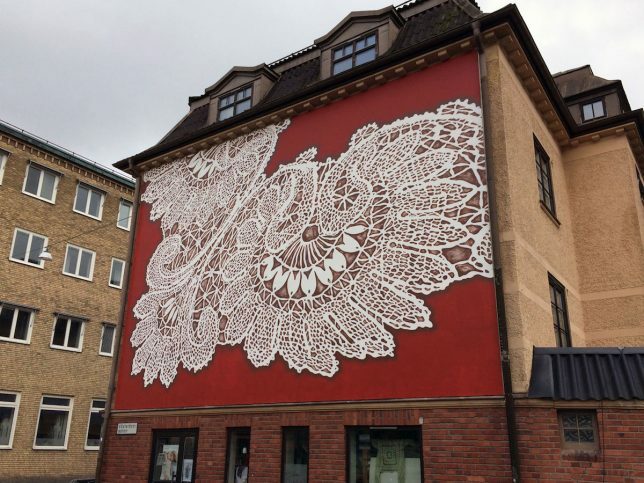 Though she’s been working in this style since 2009, NeSpoon began tailoring her lacework designs more specifically to regional traditions over the last few years. 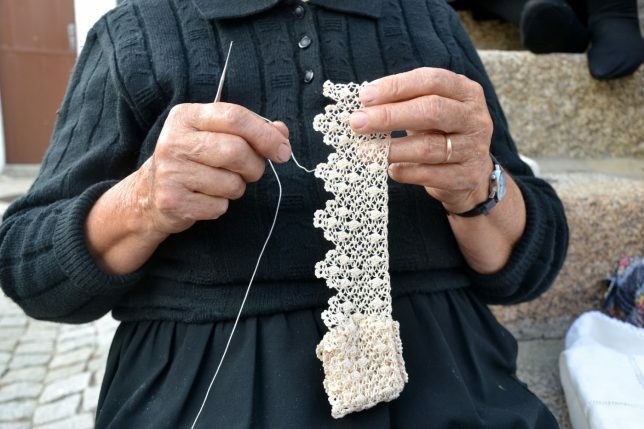 In 2017, for example, she met with and observed lacemakers in Póvoa da Atalia, Portugal to commemorate the vanishing craft practiced by female circles of craftspeople. 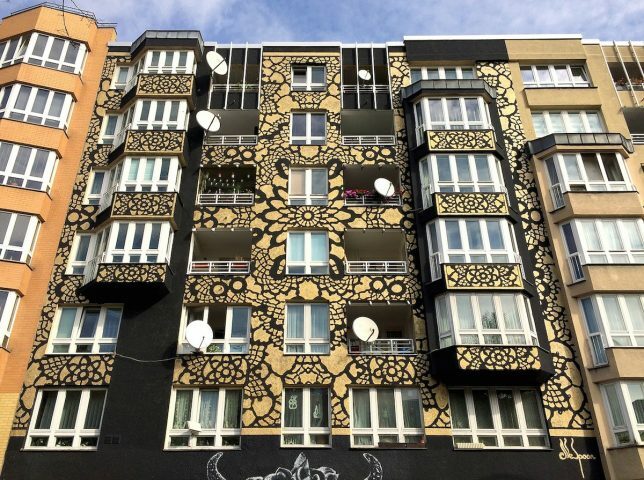 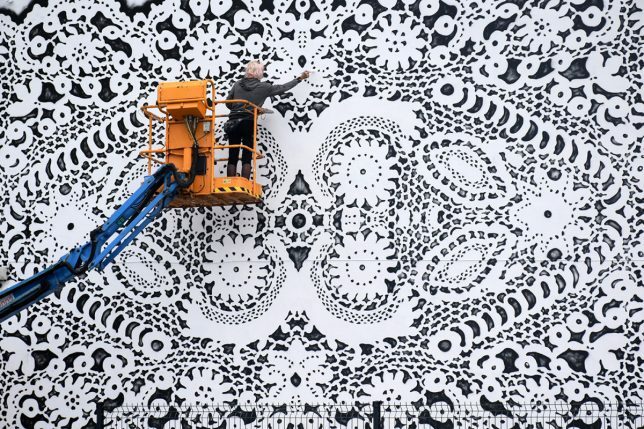 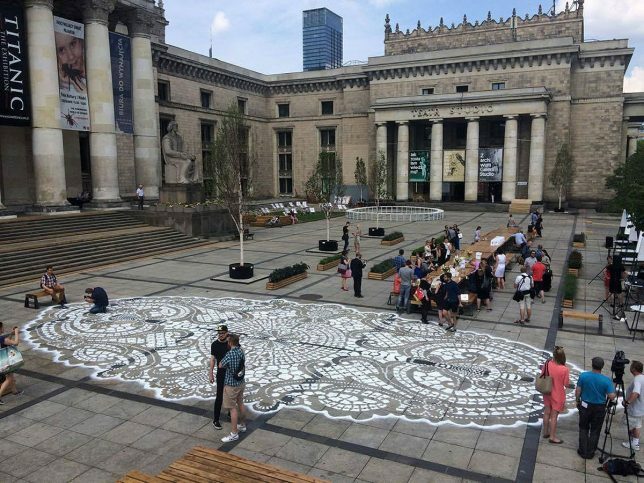 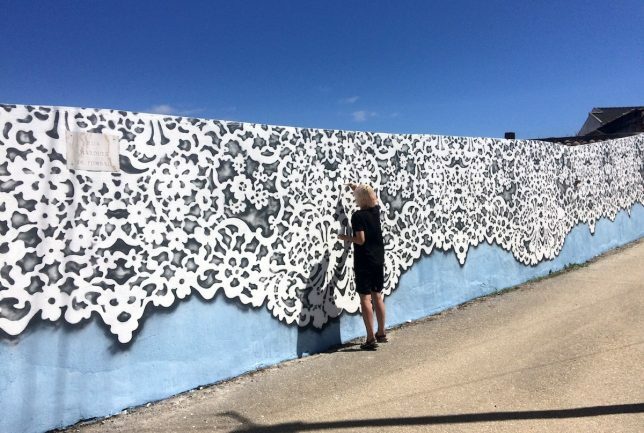 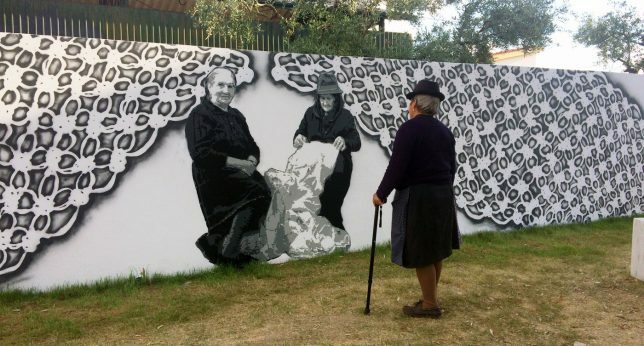 She enlarged their patterns, and incorporated the women themselves into the resulting mural. 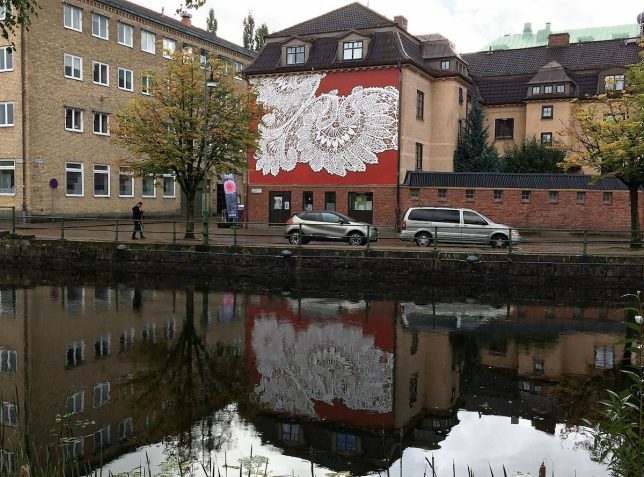 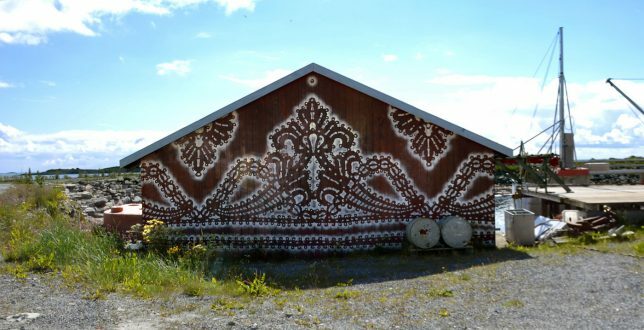 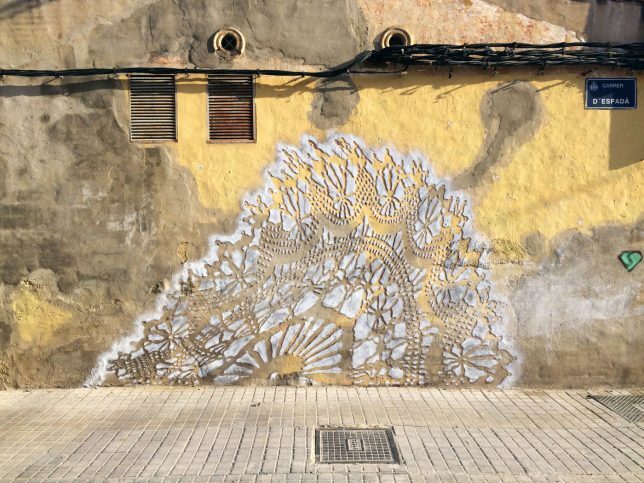 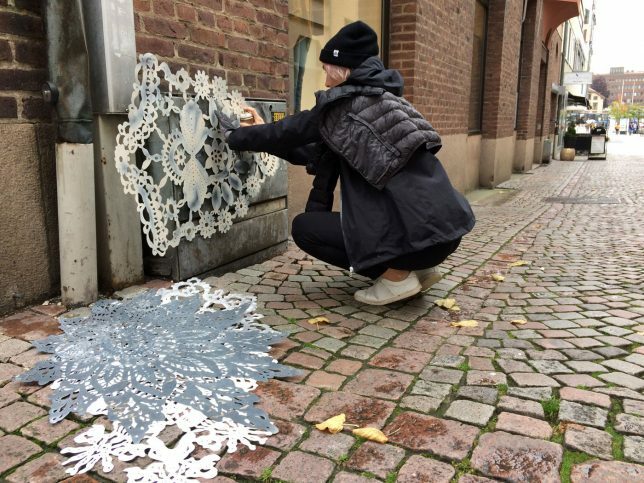 While many of these works are officially approved, particularly the larger pieces, NeSpoon also makes use of guerrilla-style methods, quickly spray-painting her lacework onto urban objects like utility boxes.